Glossier Round Two; Review and First Impressions. | By Millie. Glossier Round Two; Review and First Impressions. We've all tried Glossier by now, right? If not, where have you been?? They do ship to the UK now - hip hip hooray - and they have a showroom in London...so no excuses if you want to try some bits. 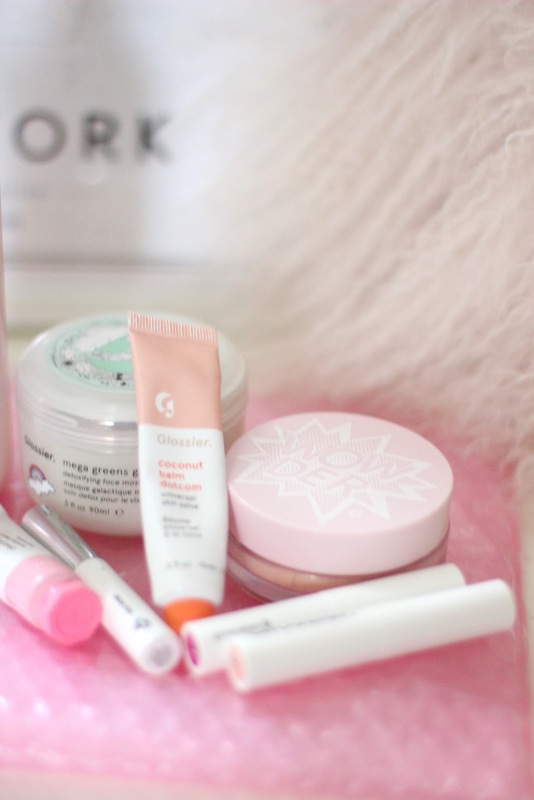 This is my second lot of Glossier products to join my ever growing beauty collection. The first chunk of products I tried were kindly gifted to me from the brand at a dinner they hosted, so this is my first time ordering from the website. I found the site pretty easy to navigate, and it took around 7 working days to arrive. I was surprised, as so many people said their orders arrived in like 2 days, so 7 was a bit of wait, but hay ho. I wanted to try another skincare item, and the Mega green galaxy pack was calling my name. I've been super into detoxifying masks lately - I think after eating my weight (and the rest) in chocolate over Christmas, my skin has been a bit more troublesome. Masks like these are fab for cleansing out the skin, removing blackheads and calming blemishes. I was really surprised how cooling this was. I imagine if you have a few angry blemishes, this would feel incredibly soothing on the skin. It also doesn't dry down like a normal clay mask, it kind of disappears on the skin the longer you leave it. It still manages to leave my skin feeling very clean and detoxed, without feeling stripped. Big thumbs up! The Generation G lipsticks were another product I couldn't wait to try. They sounded right up my street, so naturally I picked up a couple of shades. The formula, again, was a bit different than what I had initially anticipated. They were't as creamy and balmy as I thought they may be. They are definitely more of a traditional lipstick formula, which is still nice, just not what I expected. They last a decent amount of time on the lips and have good colour payoff. With the darker shade, Zip, I tend to dab it on and blend it out, otherwise it can look ever so slightly patchy if you go in hard, straight from the bullet. Just something to bare in mind. Of course, I had a pick up another Balm dot com. I really don't love the scent and taste of the original, so I picked up the coconut scent, and boy is it a goodun'. This smells like heaven on earth! Never have I wanted to eat a lip balm so much in my life!! It's a pretty basic balm formula wise, but a fail safe in my opinion. Powder isn't something I'm normally excited to buy, or use, but I have heard so many great things about Wowder, I couldn't resist. It's a loose powder, that sets the makeup well, without caking up or looking too powdery. It's great for dry skin too! Cream blushes are my weakness, I love them! I can never see why people are scared to use them, I think they are so great and look amazing on the skin in comparison to a powder formulation. Glossier's offering is of course the Cloud Paints. I already own Dusk and Beam, so I wanted to add Puff to my mini collection. It's a lovely pink shade, which sheered out looks so natural and gorgeous on the skin. My favourite way to apply these is with a beauty blender - and you only need the tiniest amount! Start small with this one and then build, build, build, until you're happy. Boy Brow is a classic from the Glossier range. It's loved by many many people here online, and for good reason. If you're a fan of Gimme Brow, and products of that nature, no doubt you'll love this too. The wand is super small and grabs every little brow hair. I have the brown shade, and it adds such a nice amount of colour to my brows without crisping up. Last, but not least, we have a body product! 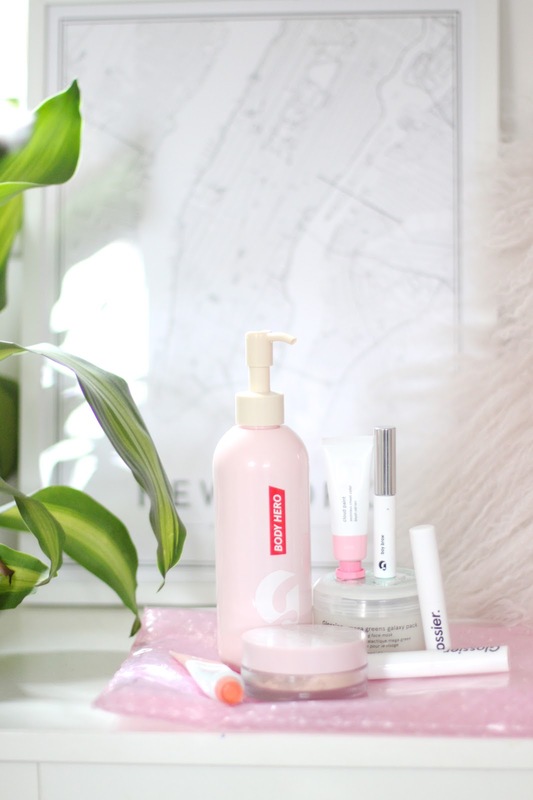 Everyone went a bit crazy on Instagram for the Glossier body products. I think there were approximately 1633902 Body Hero mirror snaps which graced our feeds...I only opted for the shower gel, but I'm impressed so far! If you're not a fan of heavenly scented things, this will not be for you. It's extremely fragranced I found, in quite a fresh and floral way. It's not unpleasant by any means, but it's noticeable! The formula is the whole reason why I picked this up. An oil - cream consistency gets me every time. It's the dream for people with dry limbs like myself. If you've tried, or want to try, the L'Occitane Almond Shower Oil, this feels very similar on the body. It's pretty lush. 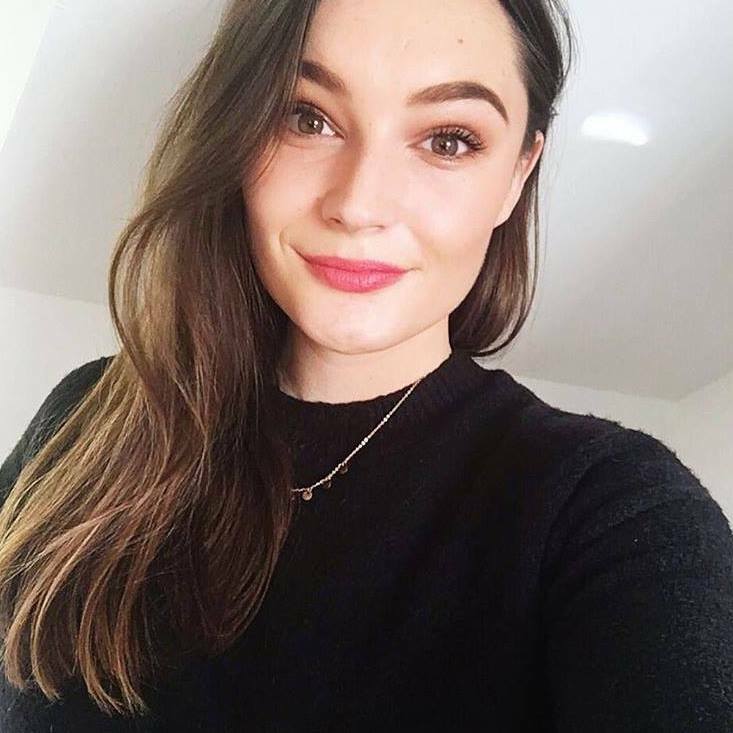 Five Products My Face Loved in January. On Wednesdays We Wear Masks.